Need a new coffee table? 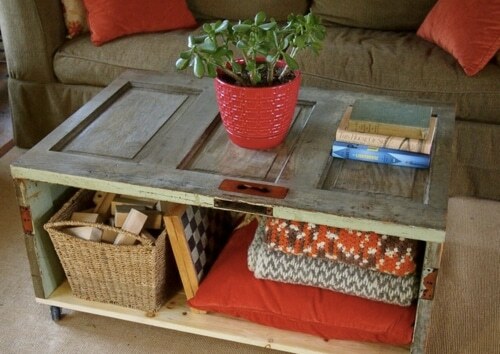 Consider making your own beautiful, functional, and inexpensive coffee table from old doors. You can complete the coffee table with a distressed look like the photo shown above, or you can finish the look with a nice stain or paint color to fit your decor. When you’re all done, you can sit back and put your feet up on your very own unique coffee table and relax.